Ingredients: Water, wheat flour, beef (18%), margarine [animal fat, vegetable oil, water, salt, emulsifier (471, 322 soya), acidity regulator (500, 330), antioxidant (307b soya), colour(160a)], vegetables (3%) (carrot, onion), modified starch (1422), soya protein, salt, beef flavour [contains flavour enhancer (621, 627, 631), soya, wheat, colour (150d)], vegetable fibre, colour (150c, 160b), pepper, rice flour. Contains wheat, soya. Manufactured in a facility that uses milk, egg, peanuts, tree nuts & sesame seeds. 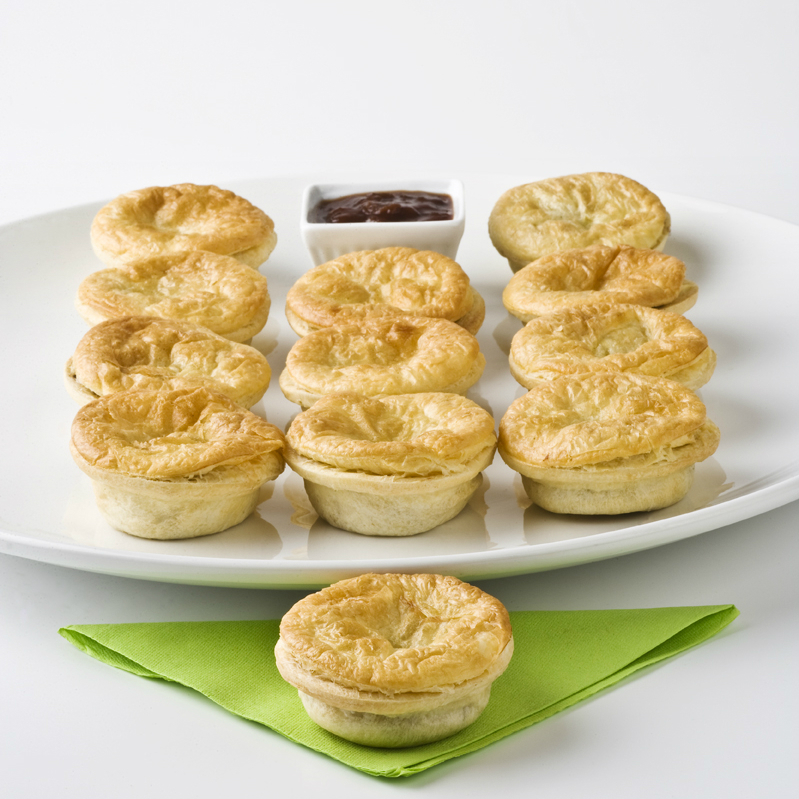 A mini version of our Kiwi classic mince pie. Stock up the freezer because our mince savoury is always a hit and you never know when you might have visitors next. Made with 100% NZ Beef!